I remember back then I was a kid, I used to hate spicy foods, I didn't like it, I couldn't handle it, even my dad repeatedly telling our maid to not use any kinds of chili when she cooked because he afraid I wouldn't eat it. But that habit surprisingly has changed for quite sometime, and the karma that comes with it is now I can't eat without chili sauce, geez! 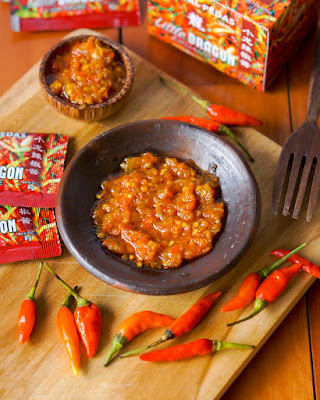 I even constantly craving for the spiciest food anywhere, LOL.. 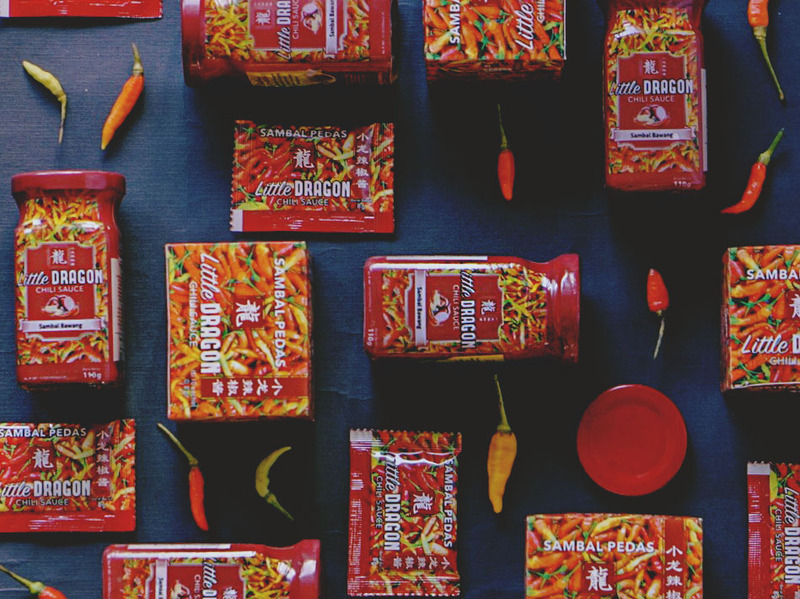 If you're asking my favorite type of chili sauce, that would be sambal! You know, the traditional chili sauce from Indonesia, where there's an actual chili in it altogether with its seeds, crushed with onions, oil and the other ingredients. Especially if you can smell the spiciness even from five to ten meters away, ugh that would always be my go to sambal! 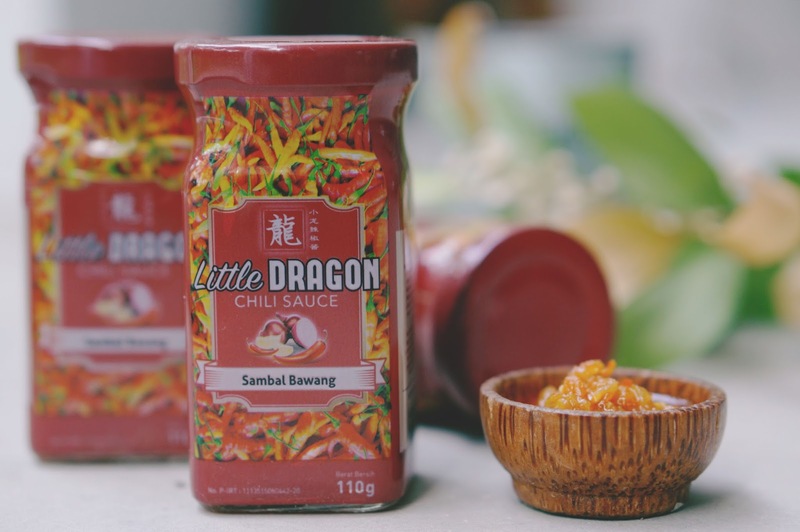 Little Dragon Chili sambal comes with a two kinds of packaging, the first one is in a bottle, the one that you can keep at home and the second one is in a sachet that packed in a box, this is the one that you can bring everywhere. 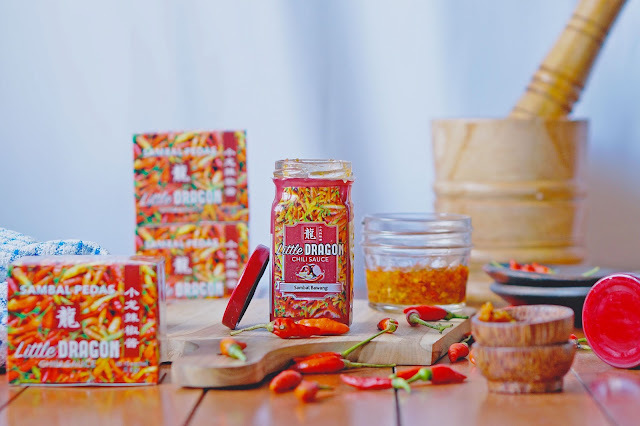 Both of them contains red chili, red onion, vegetable oil, lemongrass leaves, salt, vinegar, sugar, garlic, monosodium glutamat and shrimp paste. 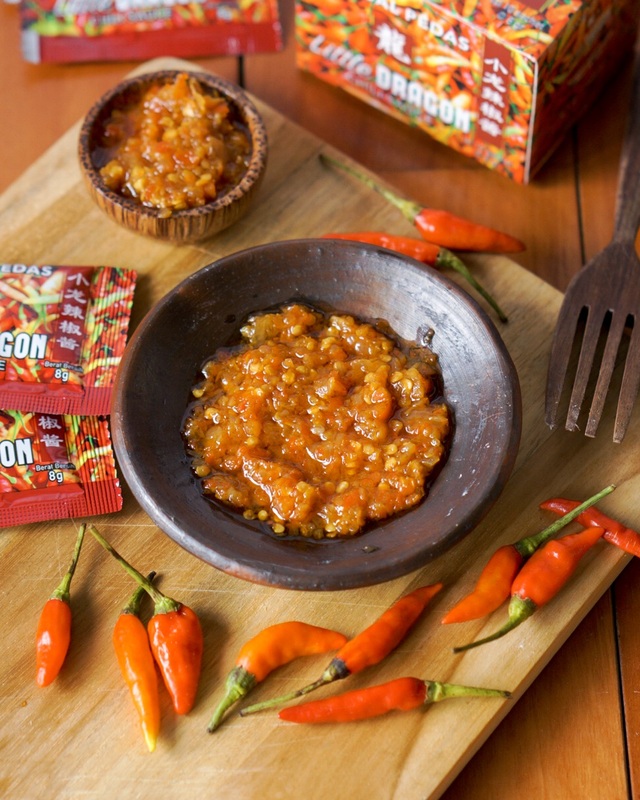 It is made with 100% sambal with no preservatives, no food coloring and no food starch to it. 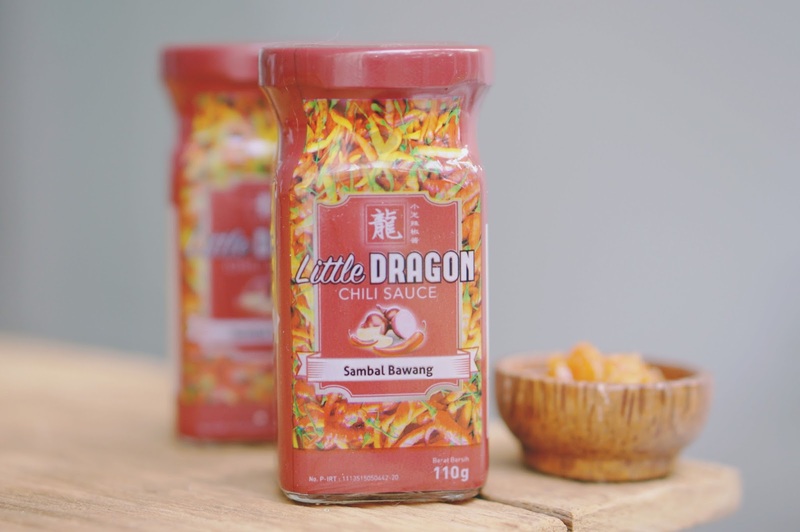 There's a slight different taste between the bottle packaging and the sachet of Little Dragon Chili. You can find a hint of sour flavor in Little Dragon Chili sachet, whereas the bottle packaging tasted more of a savory spicy. 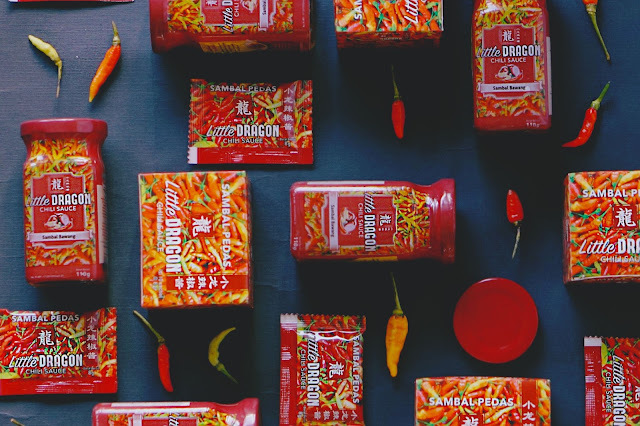 I personally like the taste of the chili bottle better, but I've been consuming more of the chili sachet, since it is more compact to bring everywhere. 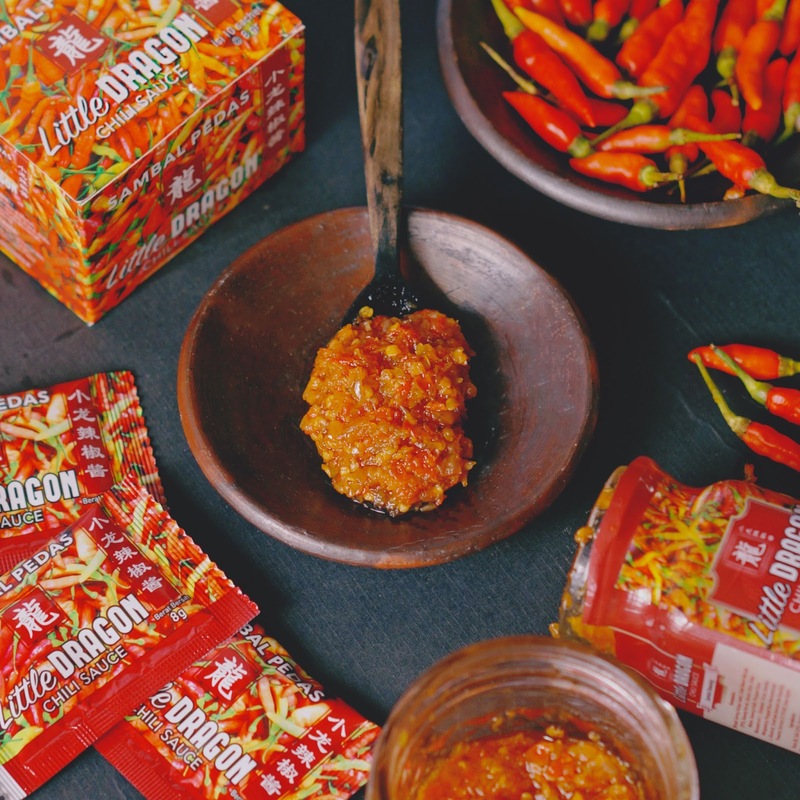 I've tried to pair Little Dragon Chili with Indonesian food such as meatballs, fried bakwan, fried chicken, penyetan, lalapan, gorengan, pork, etc. As expected, it was amazeballs. But I also tried to pair it with many things aside, and to my surprise, it also fit to any type of food! I've tried to eat it with Spaghetti, Samyang, Meat Pie, even Pizza! hahahhaha.. Call me crazy, but the fact is, it tasted good! 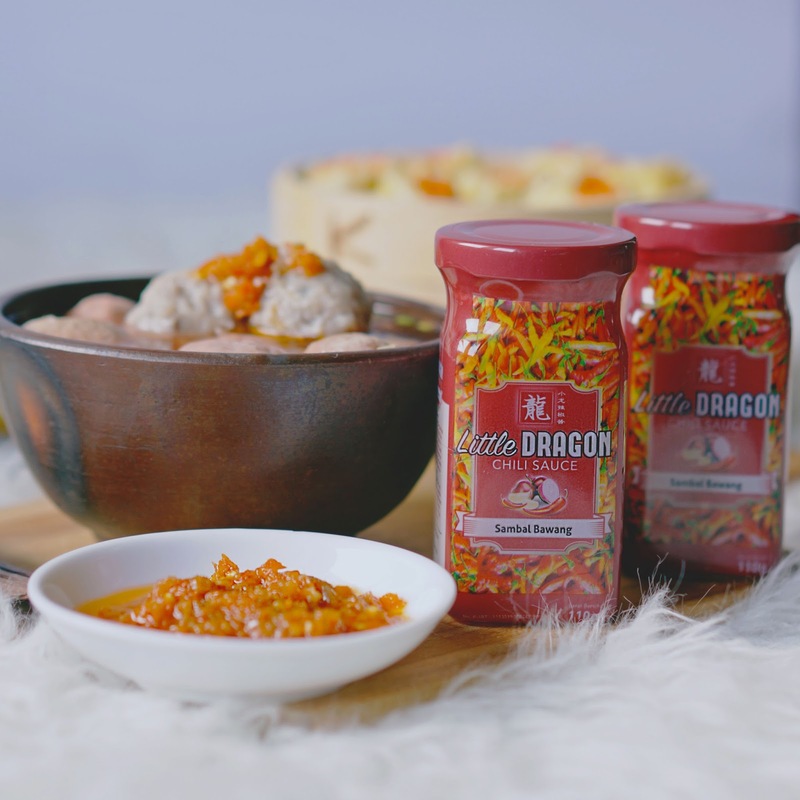 Overall, I love this Little Dragon Chili It tastes great, it can be paired with any kind of foods, and most importantly, it is travel friendly! Especially the sachet packaging, it's easy to bring anywhere, it won't leak, and it's safe (no coloring, no preservatives). Now I know what to bring when I'm traveling abroad. 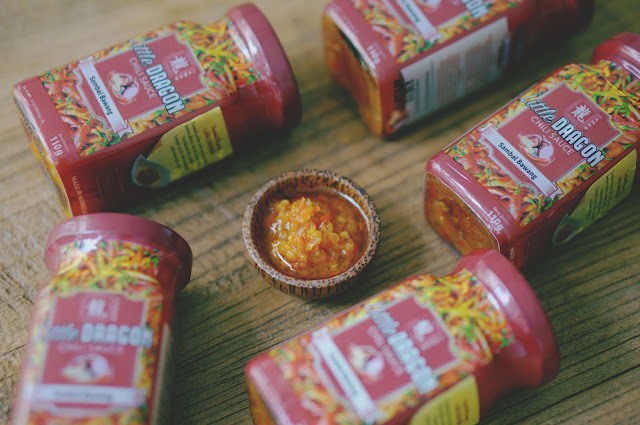 This would be my life savior whenever I miss Indonesian home made sambal, especially in a couple of months, when I'm moving to Australia. Yuk liburan ke jogja ada promo Paket Wisata Jogja 1 Hari cocok untuk anda yang hanya mempunyai waktu terbatas untuk mengunjungi kota gudeg Jogja. Yuk liburan ke jogja ada promo Paket Tour Jogja Sehari cocok untuk anda yang hanya mempunyai waktu terbatas untuk mengunjungi kota gudeg Jogja.